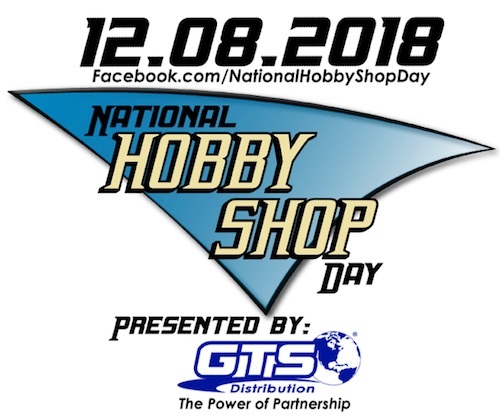 Presenting collectors and local hobby shops with something extra to look forward to in between Black Friday and Christmas, 2018 National Hobby Shop Day is a promotional event orchestrated by GTS Distribution. More than doubling in size from its 2017 debut, the 2018 festivities take place on Saturday, December 8 at participating stores across the country. Collectors are likely familiar with the various freebies issued by manufacturers, such as Panini, Topps and Upper Deck, to incentivize a visit to the hometown card shop. 2018 National Hobby Shop Day works in much the same way, except the giveaways are not limited to just one brand. Over 100 stores nationwide are in play for 2018 National Hobby Shop Day. A variety of swag to be used as door prizes/giveaways is supplied by Baseball Treasure, Cryptozoic, eBay, Leaf, Panini, Topps, Ultra Pro, and Upper Deck. GTS has also provided manufacturer promo packs. View an up-to-date list of shops for 2018 National Hobby Shop Day. After you confirm they are on the list, make sure to touch base with your local store to find out the exact promotions they are running for 2018 National Hobby Shop Day. Those collectors looking to satisfy their appetite for free food in addition to cards can take advantage of the complimentary pizza, as well. For card shops that want to find out more information about the program, GTS has released the full details on their website. 2018 Panini XR Sam Darnold 1 of 1 NFL Shield laundry tag auto. SICK CARD!